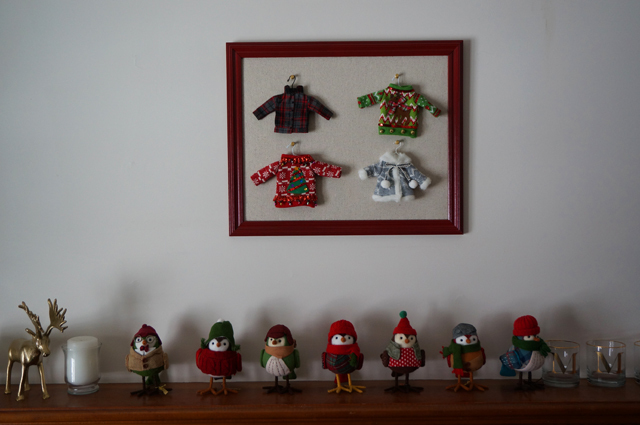 This entry was posted in Sewing and tagged Christmas, crafts, FO successes, home decor. Your new stockings are darling! Perfectly festive and very professional-looking, too! (And what is it with Joann’s faux fur prices?!? I was so surprised by the expense the first time I looked. Faux wolf sounds fantastic though, haha!) 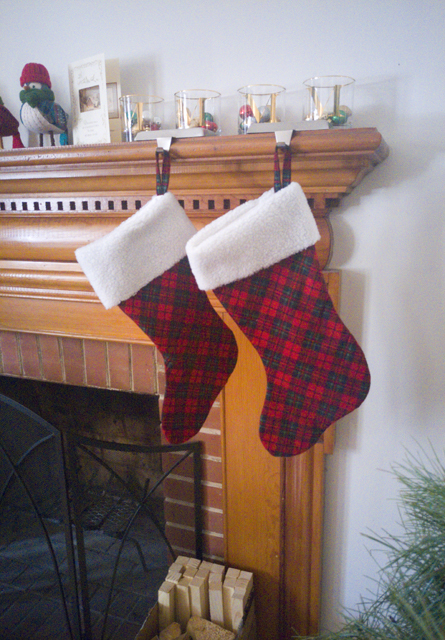 Like you, I have a hugely sentimental “original” stocking; making a new one, especially matching “couples” stockings, is a great idea. Thanks so much! I waffled the tiniest bit over whether they should match, because I was afraid they might look a little too impersonal. I considered some kind of name or monogram, and I would have entertained different colors of the same fabric if that had been an option, but in the end it suits my sense of order and balance to have them be the same. I figure we can always hang a ribbon, tag, or charm from each one if we ever need to tell them apart. After checking the prices on about half the faux furs in the store, my desire to sew a fur-trimmed cloak has been severely diminished, that’s for sure!